A lovely blond comes to my studio. 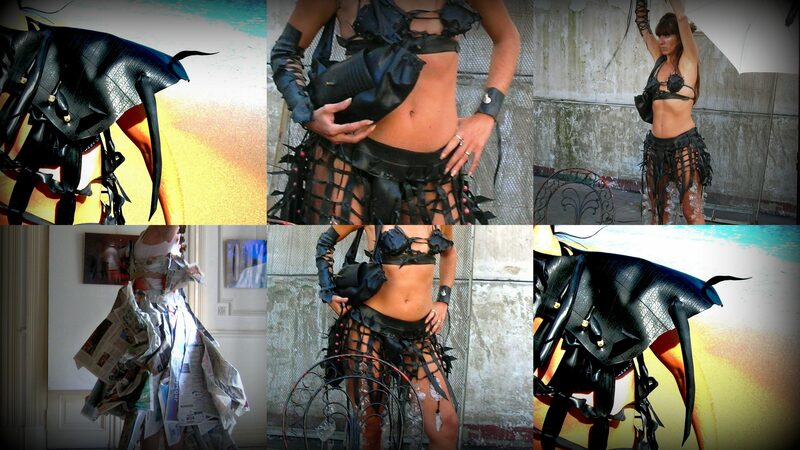 She is from California and she wants to wear one of my recycled rubber dresses for a particular occasion… she also wants me to design a matching tie for her date. Cant give names or details but lets just say that she has the right body and the perfect attitude to sport this particular dress. She also has the right date ! THIS magic, outrageous, dress already won a first price award and now has a new happy owner – collector ..who was calling all kinds of attention around Palm Beach …NEXT STOP NYC Parsons School Of Design. I am a happy artist.. I am letting all this inner-tubes roll freely … back to create some more!!! Previous See It Like It Is…or Transform It! Next Where Does Your Style Come From?